After a long day of skiing in Utah, a storm just passed through and I wanted to capture the calmness of the mountains painted with white powder. Despite my physical exhaustion, I put on a pair of snowshoes and of course my camera and started on my adventure. I wasn’t sure where I was going I just wanted to be a part of nature. There wasn’t much of a trail I was just felt the direction I was going would lead me to something incredible. 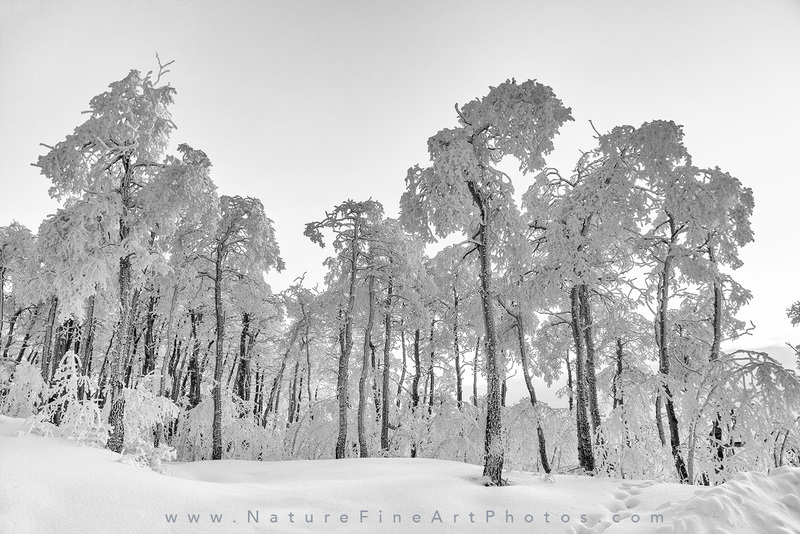 After some trekking through the light fluffy fresh snow, I came across a group of trees that were standing so delicately almost speaking to me. They looked so peaceful just as I felt gazing at them. I enjoyed the moment that was so silent I just wanted to breathe in the fresh air and enjoy the snowy trees and nature all around me. This was a great journey.